Apparently, the 12-cup standard drip coffee maker just isn’t cutting it for everyone anymore. In fact, if youÃ¢â‚¬â„¢re bored, I suggest you go Google Ã¢â‚¬Å“weird & wacky coffee makers.Ã¢â‚¬ If nothing else, youÃ¢â‚¬â„¢ll probably start craving a new shiny coffee maker. Maybe itÃ¢â‚¬â„¢s just me, but generally I just want coffee. Good coffee. Coffee that is not burnt, is not skewed on the water/coffee ratio, and is hot. Oh, and fresh. And flavorful too. Really, thatÃ¢â‚¬â„¢s not all that much to ask is it? Surprisingly, itÃ¢â‚¬â„¢s really rather difficult to find. And then, you throw at me coffee makers and coffee mugs that look like they could conquer the world. Do I need one of these guys? Will I start dreaming about taking over planet earth if I buy one? Or, will my coffee taste better? I dunno. But, dang it, they do look cool. And, heck, some of them do look like they could at least solve my own life problems, if in fact they wonÃ¢â‚¬â„¢t take over the world. DonÃ¢â‚¬â„¢t believe me? 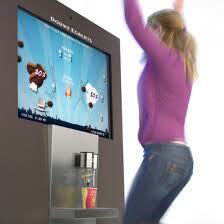 This, my friends, is the BeMoved coffee machine. 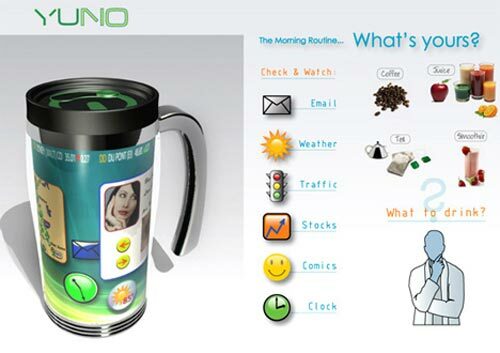 A motion sensitive machine that can be programmed to make you dance for your coffee. 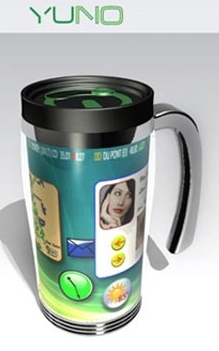 You know, like Ã¢â‚¬Å“No caffeine until you burn those calories, fool.Ã¢â‚¬ But itÃ¢â‚¬â„¢s also got a touch screen, so you can drag in the ingredients youÃ¢â‚¬â„¢d like, including type of coffee, sweetener and syrup. And, while youÃ¢â‚¬â„¢re waiting (or dancing) itÃ¢â‚¬â„¢ll provide you relevant traffic, weather and stock information for that effort. Star Trek anyone? But, then, before I dash off to discover more weird & wacky coffee machines, I did tell you some had the potential to take over the world. Interested? I bring you the Saeco Etienne Louis. 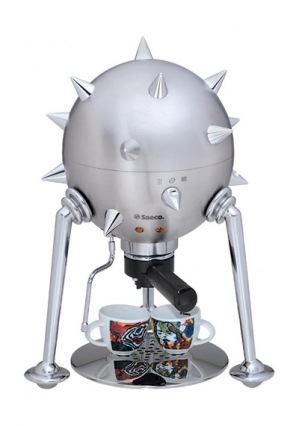 An espresso maker with spikes. Apparently modeled after the medieval mace, thereÃ¢â‚¬â„¢s no denying this guy is meant to pack a mean punch. Coffee for drinking, or coffee for conquer. WhatÃ¢â‚¬â„¢s your pleasure? A bit of a coffee fanatic, Tara is a freelancer currently writing alongside Coffee Home Direct. For more weird & wacky, watch her on Twitter @hopesiempre.